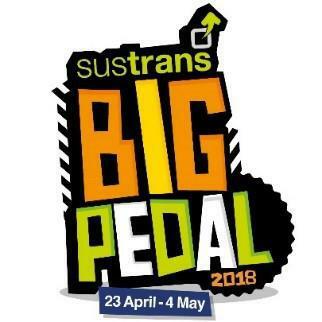 Get set… we’re taking part in Sustrans Big Pedal 2018, the UK’s largest inter-school cycling and scooting challenge! Running from Monday 30th April to Friday 4th May, the aim is to inspire pupils, staff and parents to choose two wheels for their journey to school. Letters with further details have been sent home with children today, or you can click here to view. Bikes and scooters can be left at the bike racks or railings closest to your child’s normal entrance door. Please remind children to wear a cycle helmet and keep safe on their journey. We would also like to remind parents that the school cannot take responsibility for any damage to bikes and ask for bikes not to be left on the school site overnight.